I/O is a magical time at Google. 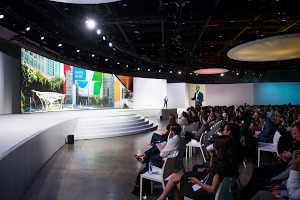 Every year, thousands of developers gather in Google’s backyard to share new product ideas and learn about our latest innovations in computing. We’re meeting at an exciting time for the developer community. It’s a time when consumers have more choices than ever before—like where to shop, what to watch, which games to play and how to communicate with friends and family. Your product needs to stand out. You need tools to help your business grow. And you need to make sure your users are happy. This afternoon, my team and I will share 3 new innovations for developers to make it easy for users to pay for your services, build profitable businesses and grow your user base. Check out our live stream here. Starting today, our suite of payment solutions will be expanding. The Google Payment API enables merchants and developers to turbocharge checkout conversion by offering your users an easy way to pay with credit and debit cards saved to their Google Account. Users will have multiple Google payment options at their fingertips, like a credit or a debit card previously saved via Android Pay, a payment card used to transact on the Play Store or a form of payment stored via Chrome. And they’ll be able to use these saved payment options in third-party apps and mobile sites, as well as on Google Assistant when they are on-the-go. For users, this means faster checkout. Now they’ll never miss a deal because they’re stuck on a bus and don’t want to pull out their credit card in front of strangers. They'll no longer experience the pain of stumbling on a sale that ends at midnight when they’re tucked in bed with their credit card out of reach. Users can save time and headache by using credit and debit cards they’ve already saved to their Google Account whenever they see the option to pay with Google on supported apps or sites. AdMob was built to support the app ecosystem. With over 1 million apps across iOS and Android, AdMob has paid over $3.5 billion in ads revenue to developers. But there’s more we can do to help you succeed. Today, we’re introducing a completely redesigned AdMob. Rebuilt from the ground up, AdMob is now simpler to use and delivers richer insights about your users’ in-app experiences. Simpler to use: We’ve applied Material Design to all aspects of the AdMob look and feel to deliver an easy-to-use and intuitive experience across the entire platform—on mobile and desktop. You’ll get more done in less time. Below you can see how easy it is to pick an app that you’re monitoring, check out its key metrics and then quickly take action to fine-tune its performance. 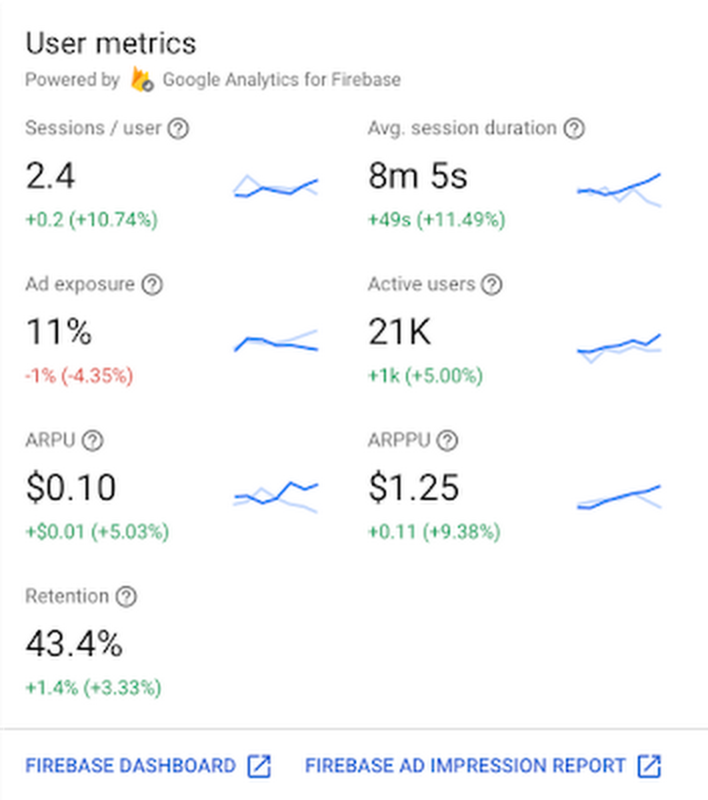 Deeper insights: We’ve also integrated Google Analytics for Firebase into the core of the redesigned AdMob so you have quick access to the metrics that matter most for your business. 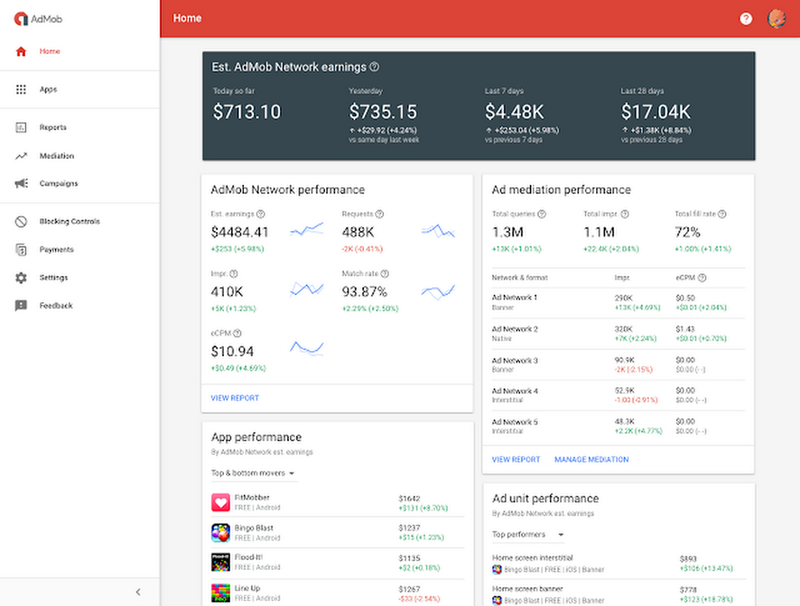 Once you link your AdMob and Firebase accounts, you’ll have access to detailed ad revenue data and user insights like time spent in the app and in-app purchases—all in one place. Google’s app ad innovations have delivered over 5 billion installs from ads and we are now helping developers drive over 3 billion in-app events per quarter—like users adding something to their cart or reaching level 3 of a game. Developers have gravitated toward Universal App Campaigns (UAC) as the “one stop shop” campaign type that scales your reach and maximizes app installs across Google’s largest properties: Google Play, Search, YouTube, Gmail and the Display Network. UAC uses Google’s machine learning technology to evaluate numerous signals in real time, refining each ad to help you reach your most engaged users. We're continuing to double down on UAC, with all new innovations being built into UAC to make app promotion even more effective. Android reaches more than 2 billion active devices every month, with Google Play available in 190+ countries around the world. It’s the place users come to discover new apps and games. Beyond searching for apps to try, users are increasingly browsing the Play store and finding recommendations for new apps. To help those users discover more of your apps, we are introducing new ad placements on the home and app listing pages in the Google Play Store. These new placements, available exclusively through UAC, help you reach users in "discovery mode" as they swipe, tap and scroll in search of their next favorite app. Many developers rely on third-party measurement providers to measure the impact of ads and gain valuable insights about how users engage with your app. To help you take action on these insights in a faster and more seamless way, we are introducing App Attribution Partners, a new program designed to integrate data from 7 global companies right into AdWords. Welcome to adjust, Adways, AppsFlyer, Apsalar, CyberZ, Kochava and TUNE... we’re thrilled to have them on board! AdWords’ integration with these partners ensures that you have consistent, reliable and more granular data where you review app metrics. Now you can take action with confidence and stay on top of your business performance. As consumers live more of their lives online, it’s increasingly important for developers to build user-centric experiences in everything that you do—from the apps you design, to the experiences you deliver, to the ways you help people transact. We know it’s not always easy, so Google is here to help. We look forward to continuing on this journey with you.